Hello everyone! How is your week going so far? Sorry I didn't have a post Tuesday, but it was my husband's and mine 18th anniversary and I was enjoying the day with him. In fact today is my parents's golden 50th anniversary! WOW! 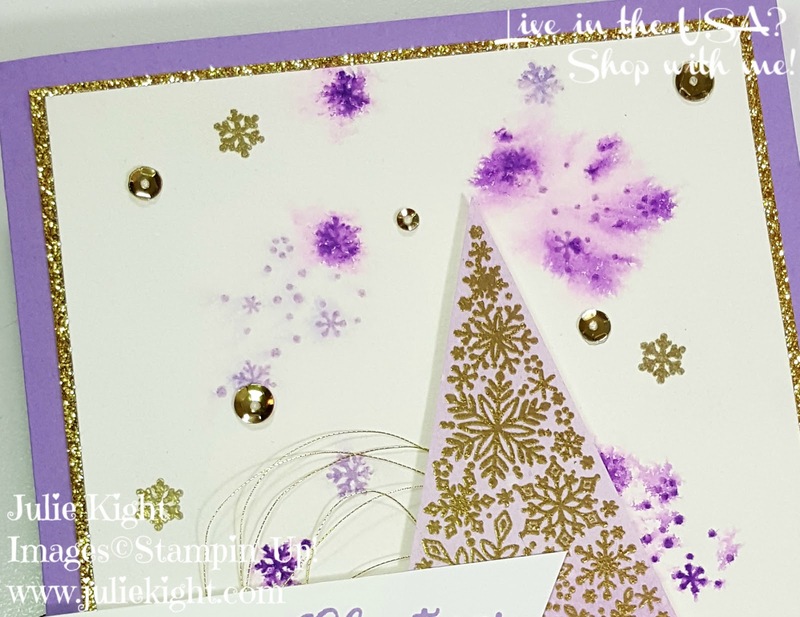 I'm making them a special card that I will be sending out today or tomorrow. 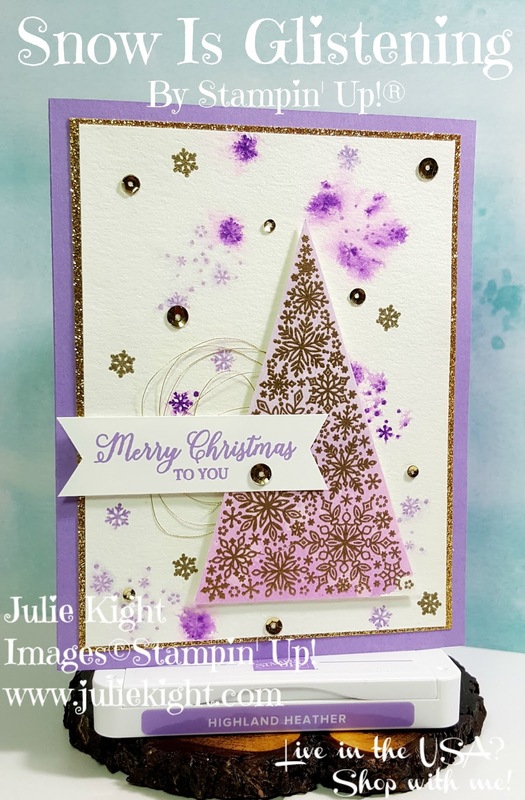 Talking about cards here is the card I made for today for you using the new limited time Snow Is Glistening stamp set. 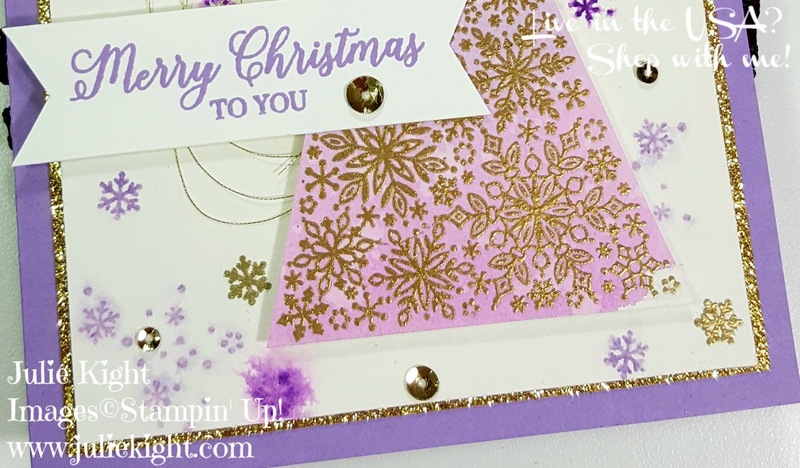 I love the look of purple and gold and this card is no exception. 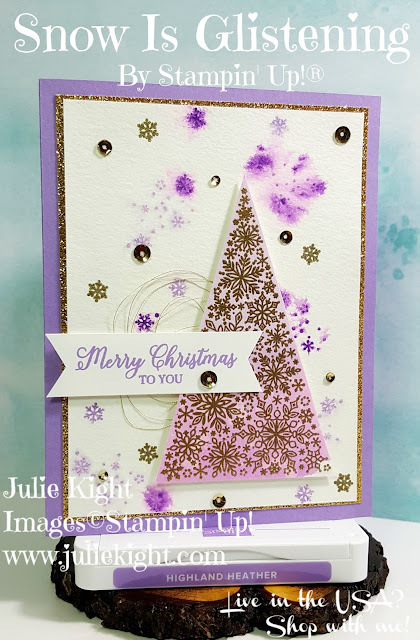 I first watercolored the background of the tree with Gorgeous Grape and Highland Heather. 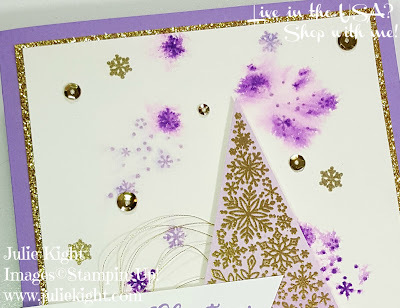 Then I heat embossed the gold tree on top and cut the whole thing out. I then stamped the background of watercolor paper and then spritzed it with water to cause the ink to run a bit. 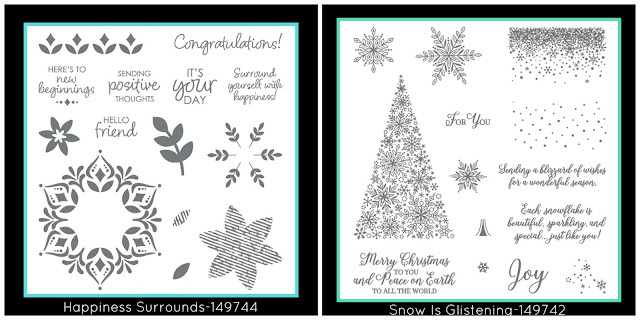 I heat embossed several of the small snowflakes around the paper. I matted this paper onto a piece of the Gold Glimmer paper. 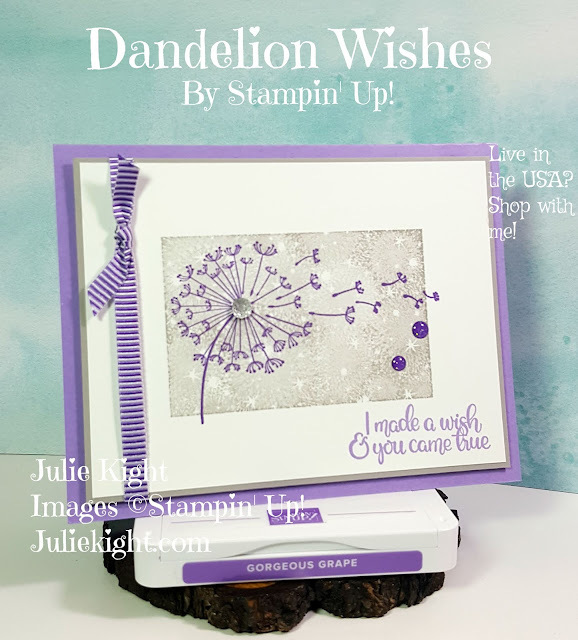 I stamped my sentiment by only stamping a part of the stamp that I wanted. I added some Gold Thread and sequins to finish the look. All the gold on this card makes it look so elegant. Thank you for looking!